When Chanel announced the launch of Beige, Jersey and 1932 in Extrait de Parfum, purportedly the richest and more luxurious concentration, I was excited. 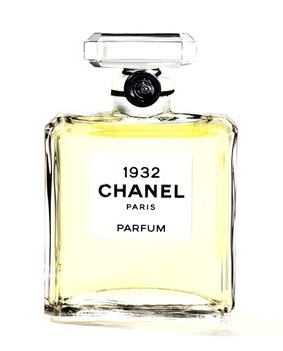 Although neither Jersey nor 1932 caught my attention in the Eau de Toilette versions (Beige, by contrast, is one of my staples), Chanel often has a few surprises up its sleeve, and I waited impatiently till my local boutique received the testers. 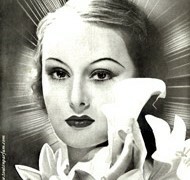 There was some speculation as to the reason why Chanel launched the “deluxe” versions of particular perfumes in the Les Exclusifs collection. Shouldn’t the exquisitely beautiful 28 La Pausa, sultry Coromandel or polished 31 Rue Cambon receive more attention? Chanel itself said something about the noble materials and other romantic things, but the truth is that Beige, Jersey and 1932 are the best sellers in the collection, and it made more business sense to focus on them first. I started with 1932, because the EDT held so much promise, but its etude of iris wrapped in jasmine petals melted within minutes on my skin and turned into a slick of musk and toasted almonds. I tried 1932 again and again, hoping that I simply didn’t get a chance to figure it out. At some point, I ran out of patience and moved on. On paper, the parfum is the answer to my iris-jasmine dreams. It is very close to the EDT–the shimmer of aldehydes (materials that smell like starched linen and feel like champagne bubbles), the velvety embrace of iris, the sweetness of musk, and the spicy balsams and vanilla. The composition indeed is brighter, more saturated, with iris emphasized and highlighted. 1932 has been dressed to the nines, but at the same time, it’s mellow and understated. If Chanel were to make the perfume equivalent of a little black dress, this would be it. But a gorgeous dress on a hanger can turn into an ill-fitting outfit. 1932 parfum on my skin is just as disappointing as the EDT. There is a suave interlude that makes my iris loving heart skip a beat, but after half an hour, I’m left with the same pale cloud of musk, pale flowers and a dash of cinnamon. It’s pretty but not exceptional, and once again, I’m pining for more of everything, including the trademark Chanel character. In short, if you already loved 1932 in the EDT, the parfum will surely make you swoon. The parfum certainly has more tenacity and presence, and if your main complaint with 1932 was the lasting power of the EDT, the new concentration is worth trying. On the other hand, the parfum won’t change the minds of those who didn’t find 1932 exciting. For the price, you can find much better irises, starting with Chanel’s own No 19, 28 La Pausa, and even the lovely but much maligned, No 19 Poudré. The reviews of Jersey and Beige parfums are up next. Chanel 1932 extrait de parfum retails for €185/15 ml. Victoria: That’s how I felt about Jersey too, but I suppose, it works for those who would like fresh, clean and easy to wear. It’s a good quality perfume, of course, but I agree on the white musk and laundry association. Alessandra: Heheh, interesting. I tested 1932 in France, back in October, when they happened to have a huge open space for Chanel exclusifs at Galeries Lafayette’s third floor (I think it was the third? Or is it the second? Anyway, not there anymore, apparently 🙁 ). I had exactly the same impresison. Absolutely lovely at the beginning, then a mega disappointment shortly afterwards. Victoria: I’m so happy to hear this, Tiffany! 🙂 Beige is definitely one of the best mildly aldehydic Chanels, whereas No 5 or 22 take much longer to appreciate. At least, for me that was the case. Beige seems simple, but when you wear it, you find some many interesting touches, and it never wears you, if you know what I mean. Mals86: I did love 1932 in edt, only mourning its poor staying power. Sigh. It was so darn pretty I felt guilty for liking it so much. Victoria: Mals, you might like 1932 parfum then, because it’s definitely more tenacious. It still wears close to skin, but it has much more presence. The EDT vanishes on me within an hour. Michael: I too, have never understood why Chanel have yet to release 31 Rue Cambon in extrait de parfum, when they have done it with Cuir de Russie and Bois des Iles (IMO, these three fragrances represent the best of the Exclusifs range). Victoria: Let’s hope that 31 Rue Cambon is next. Cuir de Russie and Bois des Iles parfums have been in the collection since their launch in the 1920s, but 31 Rue Cambon was only added a few years ago as the EDT. Michael: I wonder if the complexity of the ingredients for 31 Rue Cambon may be the reason why it hasn’t been issued as an extrait de parfum. Victoria: Oh, I sympathize Lauren! I lived in small university towns for years, where the most luxurious perfume shop was a department store counter. And even that took considerable effort to visit. Ashley Anstaett: I’m sorry this one was so disappointing. I haven’t smelled much Iris (although I do really like No. 19) and would curious as to your recommendations for a good Iris perfume. I’m not familiar with the scent, and I’d really like to get a feel for it. rainboweyes: Oh, it sounds absolutely lovely. I’m hooked! Figuier: I love No 18 too – it’s my go-to spring fragrance at the mo, and a delight to wear! I received no less than 8 manufactuer’s spray samples of it from the Chanel boutique last summer, and have been really enjoying its fizzy apple-rose, which is somehow both delicate and boozy. rainboweyes: Your review sounds very disillusioning but actually that’s exactly what I was suspecting. Improved longevity – yes, but still one-dimensional, and what’s even worse – heavy on white musks. Did I ever mention that I hated white musk in scents? For me it’s an indicator of lacking creativity and innovation. rainboweyes: Hi Ashley, I wouldn’t call myself an “expert” but of course I’m happy to share my love for iris scents – and I’m sure many other commenters here have got a lot of good recommendations. As I don’t know your preferences but you’ve mentioned the rooty-earthy No. 19, I’d add a few scents that are a similar take on iris. I’d definitely try Iris Silver Mist, as Victoria recommended, but also Chanel 31 Rue Cambon (a very elegant chypre with an earthy patchouli note), Iris de Nuit by Heeley (with angelica and ambrette seeds) or maybe even Iris Nazarena by Aedes de Venustas (which is a very understated, austere iris). If you’d like to try something more elegant and powdery, with a classical feel, you might test Frederic Malle Iris Poudré, Ferré by Gianfranco Ferré, Artisan Parfumeur Mon Numero 8 or Jovoy Rouge Assassin. My favourite iris + leather combos are Parfums d’Empire Equistrius and Cuir de Nacré by Ann Gerard. If you prefer a spicy take on iris I’d recommend Atelier Cologne Lumiére Blanche and Orris Noir by Ormonde Jayne. And then there’s the gourmand category which is not quite my cup of tea – I only own Artisan Parfumeur Traversée du Bosphore and Atelier Cologne Silver Iris. I just realised I almost forgot my all-time favourite Hermes Hiris which was my first iris scent. It’s a wonderful green iris which gets a lot of wearing now. In the summer I usually wear the beautifully floral Impossible Iris by Ramon Monegal. I think this is my most complimented iris. Lucas: Looking forward to reading your impressions on Chanel Jersey Extrait de Parfum. Austenfan: It’s a pity they chose these 3. 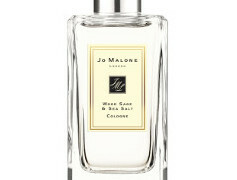 I quite enjoyed Jersey EDT, but that is only because I’m nuts about lavender. 1932 I’ve tried but cannot remember and I’ve yet to try Beige. I join the general chorus in a wish for 31 Rue Cambon and 28 La Pausa in extrait. And I wonder what No.18 would be like in that concentration. I quite enjoyed that one, it was possibly the most distinctive of the lot. Austenfan: I haven’t worn No.18 enough to decide whether an extrait is “needed”. It seemed full bodied enough. maja: I really can’t wait for my next weekend in Milan so I can re-test some of the Exclusifs! 🙂 I remember liking N. 18 very much apart from RC, Coromandel and La Pausa. N. 18 doesn’t smell like anything else in my opinion. Victoria: Objectively, they are not necessarily weak, because they’re, after all, nicely crafted perfumes. Even Jersey is much better in terms of quality than many fragrances from say, Amouage’s Opus collection, some Le Labos or Xerjoff, especially when we compare prices. Perfume lovers who have large wardrobes usually look for something that stands out of their collections, but for someone who wants a comfortable, easy to wear fragrance, it’s hard to go wrong with Beige, Jersey, 1932 or Gardenia. I myself wear Beige much more often than Coromandel, because it’s like putting on a comfortable dress. Of course, in the end, it would be best if Chanel made both original and easy to wear perfumes to satisfy its different customers, and maybe the next Les Exclusif will be something edgier. Alessandra: Yes, I have to say that Jersey has an incredible tenacity. It stays on all day on me, and quite intensely so. I can say that of many Chanel exclusifs samples I’ve got, except Bel Respiro, no.18 and 28 la pausa. Victoria: Thank you, Alessandra! Good lavenders for women are few and far between, and I suppose the success of Jersey proves that you can make a feminine lavender. Alessandra: Yes, that’s the thing… normally I only find rare good lavenders chez primarily masculine productions, like that Gucci perfume that is quite amazing, lavender-wise. maja: Oh, Chanel quality is indisputable, you’re right. I liked Beige very much, too, such an elegant and delicate honey, and I was thinking more Jersey and 1932 when I said weakest. But I really thought that 31, RC would be the bestseller because it is so elegant and such a compliment-getter. I can say that I was so in loved with 1932- from the first time I sprayed it! – that I ended up actually ordering it online because I couldn’t wait enough to go back to the Chanel counter. It’s beautifully uplifting and very white floral but delicate& appropriate ( on me at least) for any sort of weather or ocassion. I also adore No5 , Coco Noir, Mademoiselle, No19 poudre & of course no.19. Out of the exclusives, I must have No 22, Sycomore, Cuir the Russie ♡_♡ but they are just too expensive to buy all at once. Jessie: I am SOOO late to this conversation, but I had to pipe up because I love your reviews and feel like we must be experiencing different perfumes! Like Silvia, I love this perfume, and dare say if I had a “signature scent”, this would be it (Other favorites are Mitsouko, Bois des Iles, YSL Cinema, annick goutal rose absolue, and currently Un Jardin Sur Le Toit this spring!). The opening is so sparkling, and the musk that comes later feels like an amplification of my own natural scent. The sillage is close and delicate, but the jasmine-iris is so beautiful I always feel as if I’ve slipped into a elegant silk evening gown when I wear this, shimmering and carrying the warmth of my own skin. This is the scent I wear when I need to feel myself, “centered”, and from the very first moment I tried it at the Chanel counter, I was hopelessly in love. Of course this is not a “night on the town” scent, it is far too delicate, but I wear 1932 for myself.